The Bus Ride that ALMOST Happened! 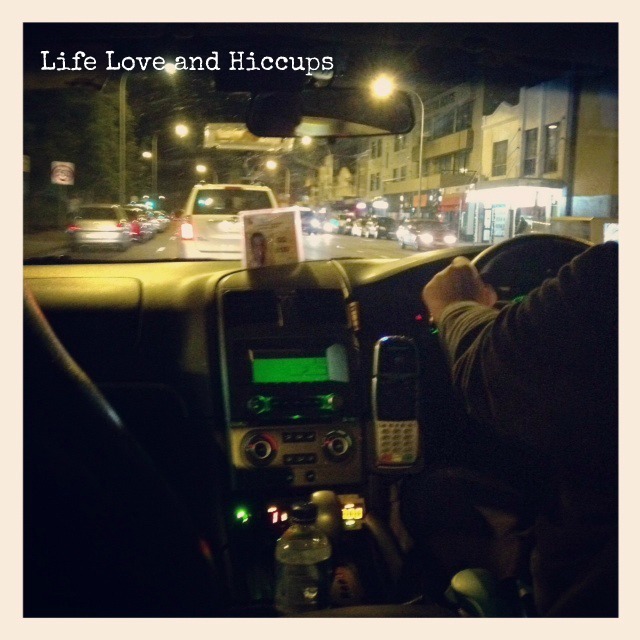 | Life Love and Hiccups: The Bus Ride that ALMOST Happened! 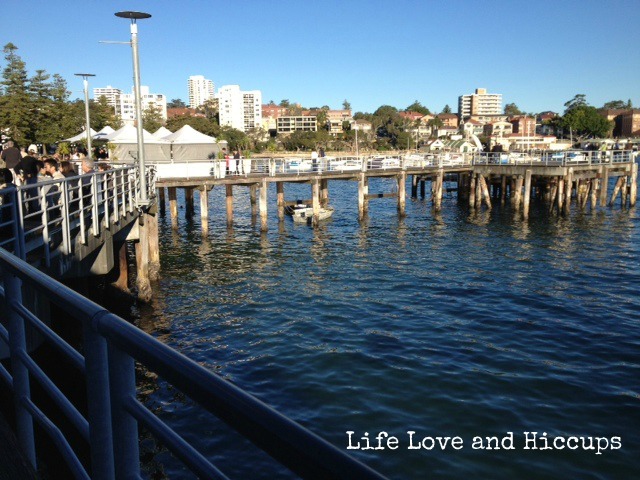 Pin It This weekend I headed off to Manly Wharf to catch up with some gorgeous bloggers Fi from My Mummy Daze, Gemma from My Big Nutshell, Carolyn from Desire Empire, Veronica from Mixed Gems and Tatiana from Mum in Search. 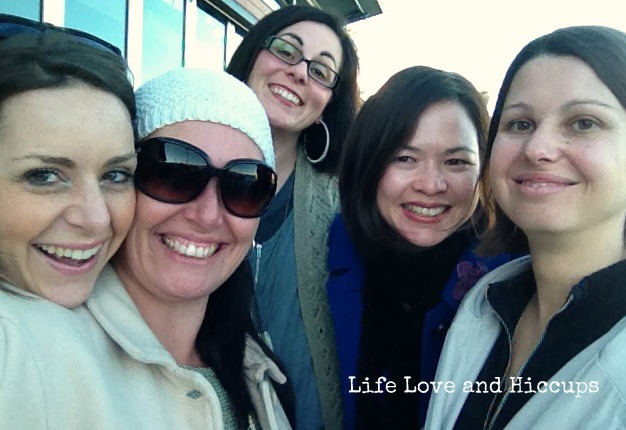 We met at the Phoenix Yum Cha and stuffed our bellies to almost unbuttoning point...almost. We had to leave some room for dessert next door at Max Brenners. Talk about a chocolate coma, that stuff is seriously molten heaven. It was great to catch up with some old buddies and some new ones who I hadn't yet met in person and if you ever get the chance to catch up with a group of like minded people who you have never met before, I highly recommend you do it. Even if you are shy - push yourself out of your comfort zone and just go for it as I can almost guarantee you will have a ball. So anyway never ones to leave a party early Fi, Gemma and I decided to round off our night at the Manly Wharf Bar with some cocktails. 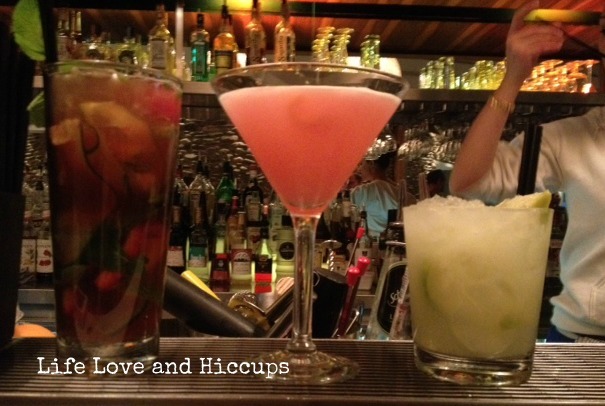 From left to right is the Wharf Bar Rangoon, A Cosmopolitan and a Caprioska? Any guesses who ordered what? Gemma scored us a seat right by the fire which was just divine, but we were also sitting right underneath the massive big TV that was showing the Wallabies Match. Typical bloggers ensuring we don't go unnoticed right?. Eventually we decided, it was time we braved the cold and head home. Fi and Gemma boarded the ferry and I believe Gemma has a whole different adventure that took place from there. And me, well I headed to the bus stop and this is where it gets really embarrassing, because you see I haven't caught a bus on my own for like Ohhh 10 years plus! I kid you not. My hubby had laughed at me earlier in the day, when as he dropped me off at the wharf I told him of my plans to get a bus home. "But you don't do buses" he said. And irritated at his mocking I became fiercely determined that I would prove that I Could do buses as well as the next person! Its not that I have a snobby aversion to buses or anything, granted I am a little germ a phobic but that wouldn't stop me from actually catching one. Its just that I don't really ever need to catch a bus and despite the fact that I harp on about my love of vodka, if I go out to dinner or to a friends place I generally choose the comfort of my own car and the convenience of going home whenever I want to, over an extra drink. Besides, my friend V is always waiting in the freezer for me should I care to play when I get home. So anyway I walked myself over to the bus stop like I had half an idea what I was doing. I sat down on the first bench of a whole street lined in silver bus benches and I waited. And I waited. And I waited some more. Buses came, but not a single one had a suburb even close to mine listed on its bus label thingy. Eventually I grew tired of waiting and I began to look around for a sign - not a sign from the angels or anything, more like a bus instructions sign (though I could have used a bit of heavenly intervention at that point). Sure enough I found a massive one - Right behind my head where I had been sitting. It wasn't until after I read the sign that I realised I was sitting at Stand A and I should in fact be at Stand C which was like right down the street. When did bus stops get all fancy like and segregate the suburbs? Freezing cold and close to fed up, I made my way down to stand C and along the way I decided I wasn't too proud to ask for a little help. I approached a group of young hip Asian guys and ask them if they knew when a bus would be coming. It didn't take me long to realise that their giggling meant they had no idea what I was saying... either that all they were just having a good old laugh at this thirty odd year old woman who obviously had no idea how to catch a bus. Next I spied two young guys with skateboards and I asked them if the bus they were catching went anywhere near where I needed to go. Jackpot!! - it did so I figured I would just hang near them and follow their lead. They told me the bus was due in 15 minutes which was music to my frost bitten ears. Panic set in when I saw them holding a little ticket and I asked them if I too needed a pre-purchased ticket, but they assured me that I could pay cash.... if I had the exact change. Crap Crap Crap! I raced back down the street to buy a pack of chewing gum to break a note for change and raced back to the bus stop just in time for the bus to arrive. Pleased with myself I lined up behind my two skatie buds and totally freaked when they turned around and said to me, that they had got it wrong and that this was the wrong bus. I thought at least one of us knew what we were doing! They checked the chart and told me our bus was not due for another half an hour. Right at that point my hubby called as he was getting worried why I wasn't yet home. I told him my story and without even a hint of mockery, he instructed me to flag down the next taxi and just come home .... bless him. I had failed my bus challenge which is totally pathetic really. I mean what kind of moron does not know how to figure out a bus stop or timetable? One who has not been let loose on a bus on her own for over 10 years obviously. I felt bad as I waved goodbye to my cold skatie mates, poured myself into a warm taxi and gave the driver my address. I so need to get out more often.... on a bus! Tell me did you figure out which cocktail belonged to who? Is there some sort of course one needs to attend to figure out today's public transport system?